High financial penalties await any business that fails to correctly use NAV – the online electronic portal of the Hungarian tax authorities. Amended rules governing the accounting and invoicing of value added tax (VAT, i.e. sales tax) become effective July 1st, 2018. 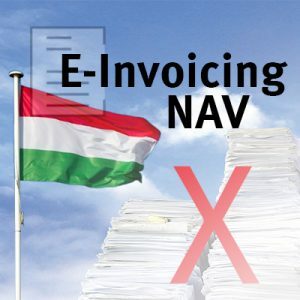 Hungarian business enterprises as well as foreign companies registered for value-added taxation purposes in Hungary are obligated to submit specific information contained in their outgoing invoices via NAV to the Hungarian tax authorities within 24 hours. How is NAV supposed to be used? Anyone wishing to avoid doubling their manual data-entry work needs an automated method of transmitting data to NAV. It’s possible to transmit data electronically in a fixed, defined XML format to the new NAV system (the Nemzeti Adó- és Vámhivatal, in Hungarian) – and with a certain quantity of records which need to be submitted an automatic transfer becomes the only realistic option. A large volume of invoicing data is made available quickly for effective risk analysis and review, which enables reports on tax fraud. NAV thereby serves to roll back the country’s shadow economy and stem tax fraud. What deadlines apply for NAV? 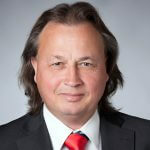 The companies affected must submit their VAT information electronically to the Hungarian tax authorities within 5 days or, in many cases, within just 24 hours. This underlines once again how important automated data transfer is, as a manual processes not only means extensive effort, but also increases the risk of missing the specified deadlines. What happens if you fail to comply with the reporting deadlines? Noncompliance between now and July 31st, 2018 will not be penalized. The NAV process is complex and time-sensitive – particularly with regard to any adjustments needed to previously reported data. In order to design your system implementation efficiently and minimize risks, it’s highly recommendable to collaborate with a partner who knows the requirements in Hungary and other countries. Such an experienced partner can skilfully and professionally support your system introduction and accomodate your growing volume of international reporting and e-invoicing obligations. Thereby you can ensure uniformity and standardization. It’s also recommended to begin these efforts by contracting a cloud-based service for cost-effectiveness. Reporting requirements like those in Hungary can be technically complex and cause high initial costs within your own company’s operations. These difficulties can be avoided with an immediately useable, preconfigured cloud-based service to which the invoicing information is reported in a clearly defined interface format. With its SEEBURGER Cloud Service for e-invoicing in Hungary and many other countries, SEEBURGER gets you onboard with a secure, reliable, convenient, scalable and highly-performant system which gives you complete cost transparency. We generate the XML formats in their currently valid versions as specified by NAV, and transmit these files to the Hungarian tax authorities. This Cloud Service is non-ERP-system-dependent, and can be expanded if needs be to include legally compliant archiving.